These photographic collections include field expeditions by Marie Louis Bastin (Angola); Constance Stuart Larrabee (South Africa); Barbara Blackmun (Benin, Nigeria); Jean Borgatti (Northern Nigeria); Christraud Geary (Cameroon, Senegal); Marilyn Heldman (Ethiopia, Nigeria); Marilyn Houlberg (Nigeria, Haiti); Aylette Jenness (Northern Nigeria); Natalie Knight and Suzanne Priebatsch (South Africa) Betty LaDuke (Ethiopia, Eritrea); Lynn McLaren (Kenya, Tanzania); Eva Meyerowitz (Republic of Benin; Ghana); Marvin Breckinridge Patterson (Cape Town to Cairo trip); and Marli Shamir (Djenne and Timbuktu, Mali). Through the cataloging of these collections, we hope to inform the narrative of women’s history, address historical gaps in African photography, and advance dialogues about gender, power relations, and other understudied but crucial topics. Each month we will feature a different woman from the project. 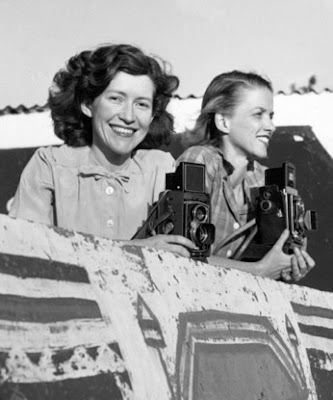 Stay tuned – in November we will explore the life and photographs of Constance Stuart Larrabee!